You’ve been here before haven’t you? In that case, you already know I am a great supporter of TOMS “One For One” model (I wrote about the bags before). How could you not? They have found the perfect balance between style and altruism, creating shoes, bags and accessories that are both fashionable and have a very clear goal. Today, I would like to focus on the shoes, which were the first and only items available ten years ago when TOMS started their revolutionary business. 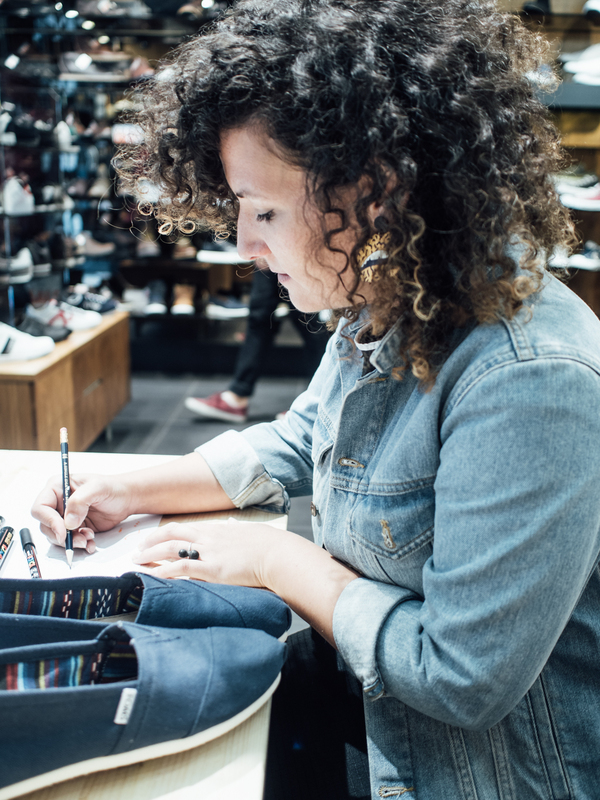 The idea behind it is simple: for each pair of shoes bought anywhere in the world, TOMS gives a pair of shoes to a child in need. Depending on the region, they offer different styles to children from the classic slip-ons to heavy Winter boots. 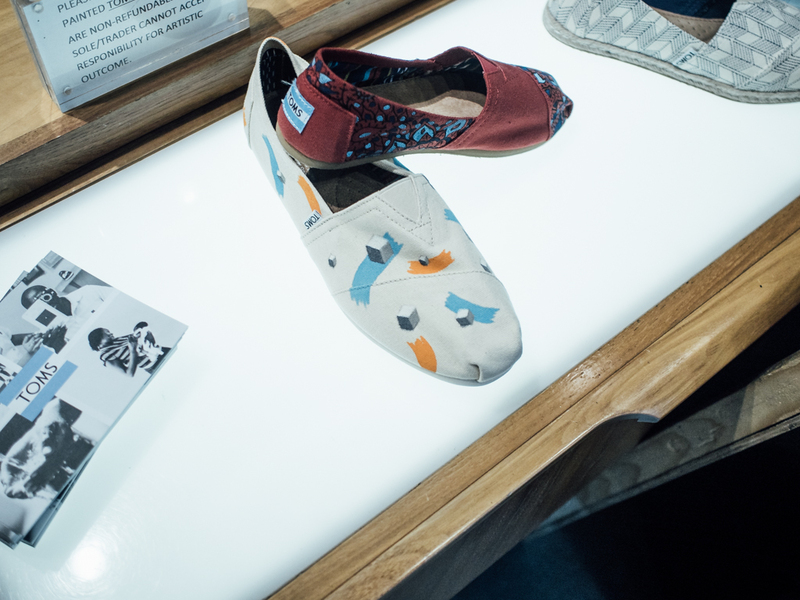 So far, TOMS has given away over 45 million pairs of new shoes to children in need, one for one. 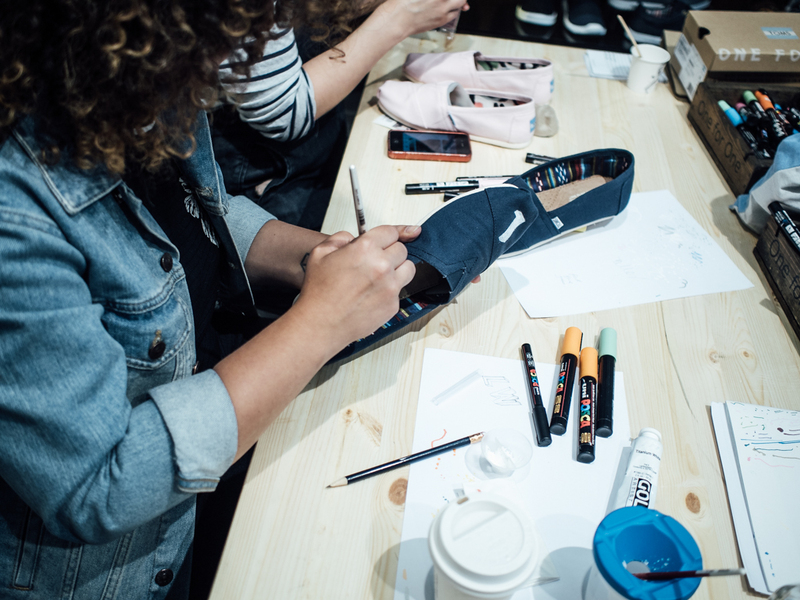 Last week, I attended TOMS Customisation Station at SOLE in Covent Garden where people were able to purchase their staple pair of Summer TOMS and get them customised for free by two artists: Stacey Williamson-Michie and Begoña Toledo. 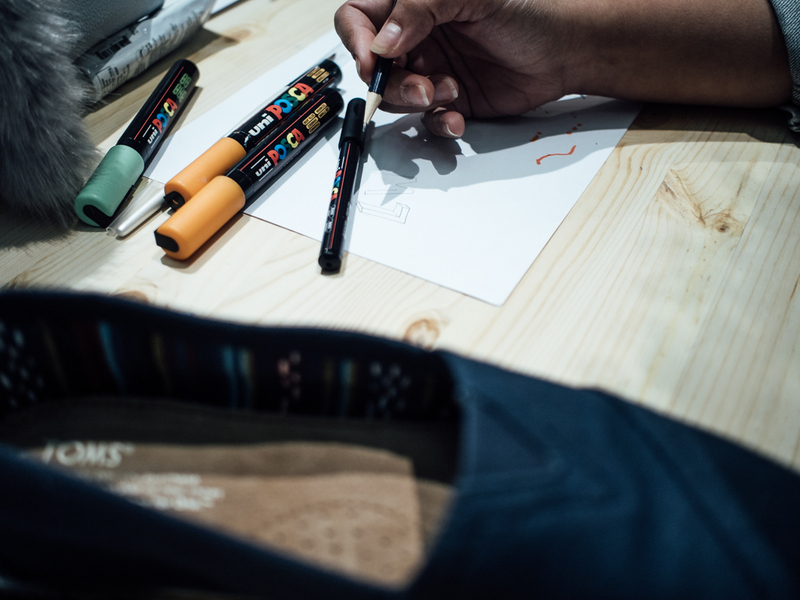 As I was in the store, I observed customers coming in and out, picking up a pair of customised TOMS and playing around with before starting to chat with the artists. Most of them left with a custom pair of TOMS. I did too! 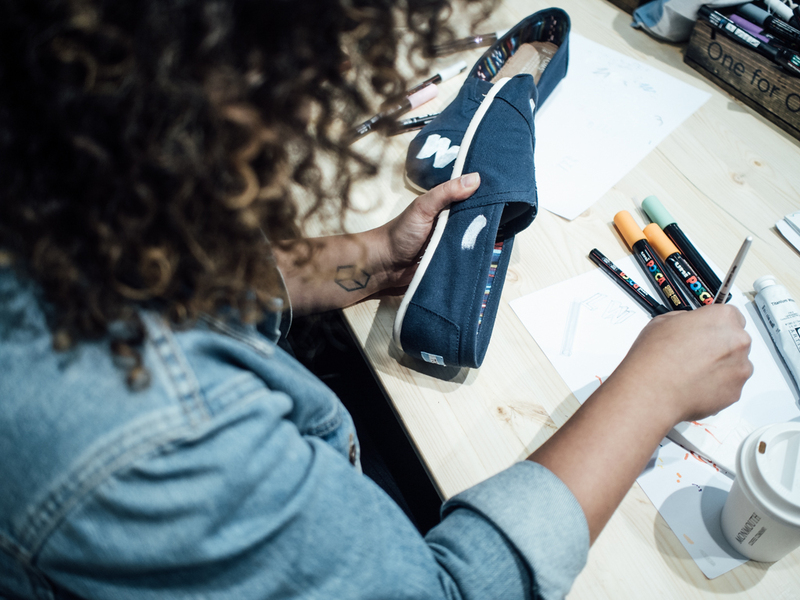 While watching the lovely Begoña work on my TOMS, I realised how much of a blank canvas the classic slip-ons were and I thought I would show you how she went about decorating mine, as it might give you ideas for little Summer projects. 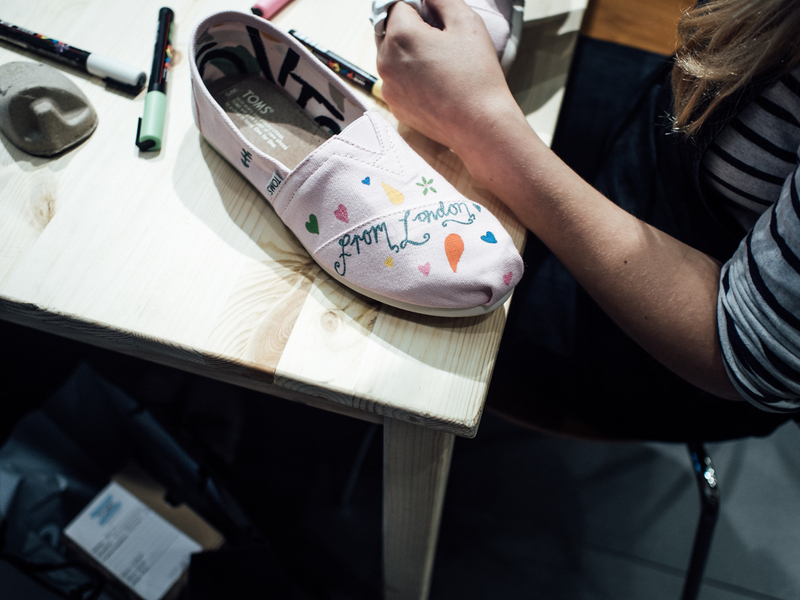 All you need is a pair of TOMS (available from SOLE), some Posca markers and acrylic paint… Oh and a steady, rather talented hand if you want to go for intricate designs! I am thinking of trying it out myself this Summer, perhaps with spots as I am not a particularly talented illustrator… You could also embroider them or attempt some clever cut-outs. The possibilities are truly endless! 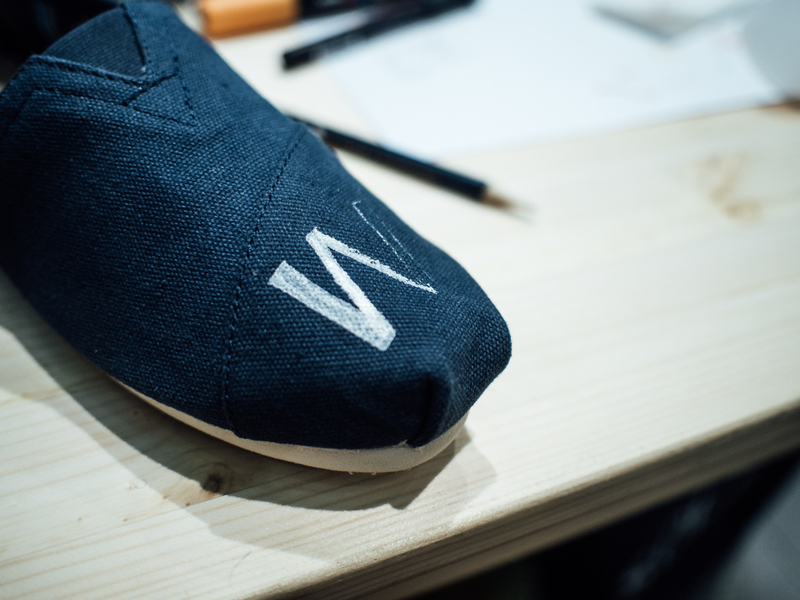 In case you don’t feel like doing it yourself, there will be other DIY ateliers with TOMS at SOLE, so keep your eyes peeled! 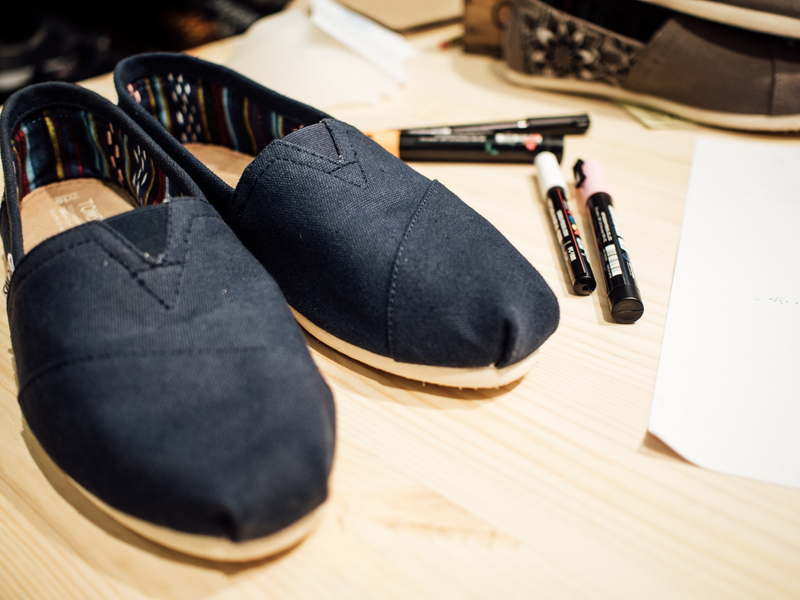 As for my TOMS… I will show them to you in an outfit post later this month!